BERKELEY, Calif. (KGO) -- A 36-year-old woman was charged today with felony child abuse for allegedly shoving methamphetamine into a 2-year-old boy's mouth at People's Park in Berkeley on Monday afternoon. Sayyadina Thomas, who has two prior felony convictions, also faces a felony charge of having controlled substances on school grounds for allegedly selling or giving away methamphetamine to another minor at People's Park at 2556 Haste St. on Monday at a time when minors were present and using the facilities there. University of California at Berkeley police Detective Jon Caires wrote in a probable cause statement that at 3:31 p.m. Monday, a female nanny was with the 2-year-old boy and a 3-year-old boy at a play structure inside the park when Thomas "shoved an unknown substance into the mouth of the 2-year-old boy she was watching." Thomas was a stranger to the nanny and the two young boys and "her actions were unprovoked," Caires wrote. The nanny "did not appear to be aware that People's Park is frequently used by the mentally ill and drug users," Caires wrote. Caires wrote that he contacted Thomas and found out that she was on probation for a 2015 conviction for resisting a police officer and causing serious bodily injury. Thomas told Caires that she had put a "tootsie roll" inside the 2-year-old boy's mouth and he determined that she was a danger to herself and others because of mental illness and had her sent to the John George Psychiatric Hospital in San Leandro to be evaluated. Thomas later told paramedics that the substance she put into the 2-year-old boy's mouth was methamphetamine, so the boy was taken to UCSF Benioff Children's Hospital, where he is now recovering, Caires wrote. 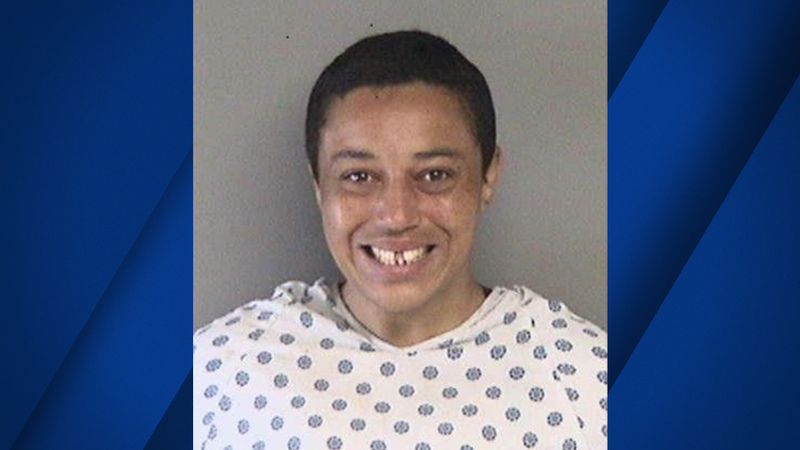 Caires arrested Thomas on suspicion of attempted murder but the Alameda County District Attorney's Office decided to charge her with the lesser offense of child abuse. Thomas was transferred to Santa Rita Jail after she was treated at the psychiatric facility. District attorney's office spokeswoman Teresa Drenick said she didn't know if Thomas will be arraigned today or on Thursday. Thomas' other felony conviction was in 2008 for battery with serious bodily injury. If you start to feel concerns about a person or a situation, trust your feelings and try to remove yourself from the potential threat, even if it is someone whom you know. If you need help dial 510-642-3333 on your cell or use a Blue Light emergency phone (located throughout the campus and identified by a blue light on top of the phone box or column). Please do not delay in calling 911. UCPD strongly encourages the reporting of criminal or suspicious activity in a timely manner to assist us in intervening in potential criminal actively and apprehending suspects.